Home > Schemes Overview > What are Loyalty Schemes? We’ve all been there. You’re at the check out of your favourite shop and the store assistant says to you “would you be interested in taking out a store card?” It seems every shop on the high street offers a loyalty card but what exactly is a store card? And what other loyalty schemes are on offer? Loyalty cards and schemes are, in theory, offered to ‘loyal customers’ meaning customers who shop at the store or purchase the product on offer on a regular basis. The aim is by rewarding loyal customers they are encouraged to return to the store and therefore buy more of the products! However often the store assistant will offer store cards to anyone who makes a purchase at the store regardless of whether they are loyal or not! There are various types of loyalty schemes on offer. Store cards are just one of them. With a store card the consumer can purchase goods on credit, often at a discount. Therefore they can buy products at the store and not have to pay at the time of purchase. In this sense they are very similar to credit cards and many have a similar interest rate. The consumer then pays off the balance of the store card on a monthly basis. Other loyalty schemes include loyalty cards that give the customers points for each purchase they make. The customer collects points each time they make a purchase at the shop. These points are then collected and can be used to buy products at the store. Seeing as the customer does not pay for the card and is not out of pocket by using it these cards can be very profitable. The idea behind them is ton encourage the consumer to return to the store – as the points collected can usually only be used in that store. Of course it is not just shops that offer loyalty schemes. 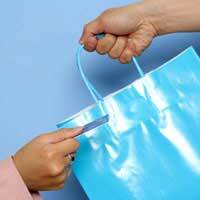 All industries have some form of loyalty scheme as it is viewed as a way of keeping the consumer entertained. Many airlines provide air miles schemes. This means when you fly with that airline you collect ‘miles’. These miles are then added up and depending on how many you have you can fly to a destination for free. Once again the air miles must be used with a particular airline therefore encouraging the consumer to continue using the airline. Similarly hotels have similar schemes. The more you stay at the hotel the more ‘points’ you collect and these can be used to stay in any hotel of that particular chain. Loyalty schemes are offered to please the customer and therefore encourage them to continue using that particular brand. However some have more consequences than others. Store cards for example must be paid off while loyalty cards are merely used to keep the customer interested in the brand and do not cost the customer any money. Make sure you read all the small print before signing up to any loyalty cards or schemes.